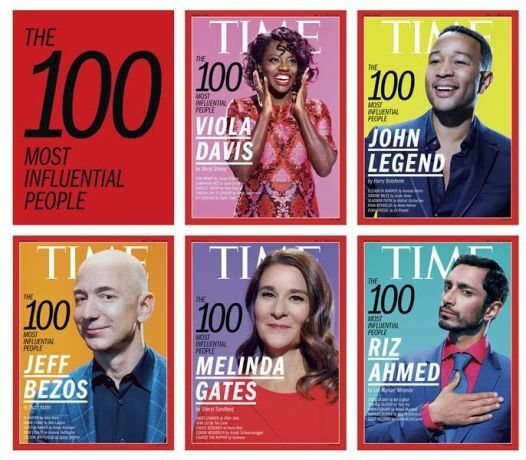 TIME Magazine has released the list of the 100 Most Influential People of 2017 and some of the big names that made it were expected, while some were a surprise. Some notable celebrities on this year's list include actress Viola Davis, singer John Legend and Chance the Rapper. Unites States President Trump also made it to the 100 Most Influential People, so did his daughter, Ivanka Trump, and her husband, Jared Kushner. Melinda Gates, Olympic gymnast champion Simone Biles, Ed Sheeran, Alicia Keys and Ryan Reynolds were not left out in this year's list. 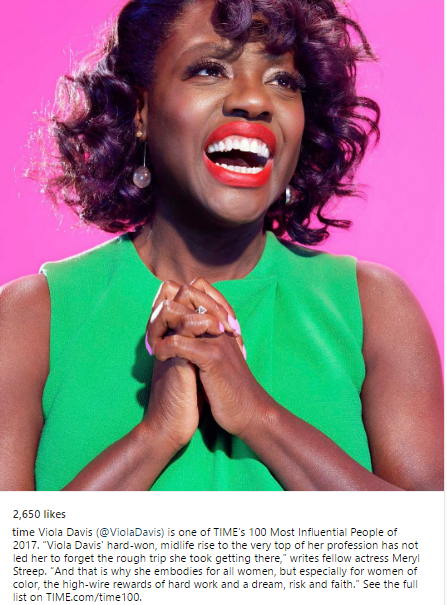 Viola Davis (@ViolaDavis) is one of TIME’s 100 Most Influential People of 2017. “Viola Davis' hard-won, midlife rise to the very top of her profession has not led her to forget the rough trip she took getting there,” writes fellow actress Meryl Streep. “And that is why she embodies for all women, but especially for women of color, the high-wire rewards of hard work and a dream, risk and faith.” See the full list on TIME.com/time100.